Fibco’s spa Extase is designed to be used 4 seasons. Your envionment will be used to create a space where you will be able to renew mind, body and soul. This sanctuary will become your private peaceful haven; although throughout the seasons, you will be able to invite friends and family to rejuvenate in this very peaceful surrounding. The Tendance is a versatile spa can be used year-round and has the capacity to seat nine people . It is designed to be either completely dugged into the ground or semi-dugged; all depending on your landscaping needs. The faux stone rim gives it a natural look. Always on top of new trends in linear, Fibco offers a new model called Pure. Its sleek clean lines and size has made Pure our most sought after design since its creation. 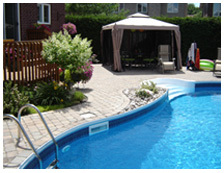 Fibco’s pools are already insulated making them energy efficient; however, by adding Sen’s rigid cover you will be able to prolong your swimming season with no additional cost. This pool offers you the best of two worlds. 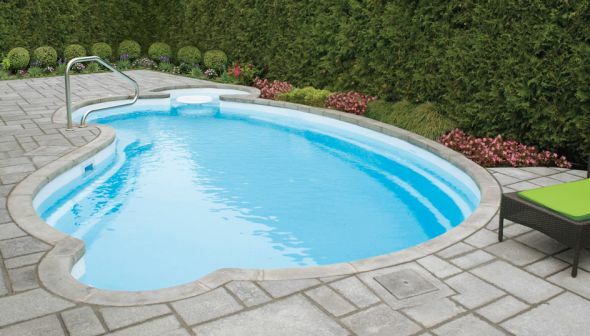 It offers a basin large enough for swimming while maintaining a relaxing rest area composed of seating and whirlpool jets. Fibco’s Excel is big enough for family fun. The huge bench surrounding the shallow end can comfortably seat 7 bathers. For the serious athlete, a swimming training system can be installed, allowing the swimmer the luxury to exercise at all times. 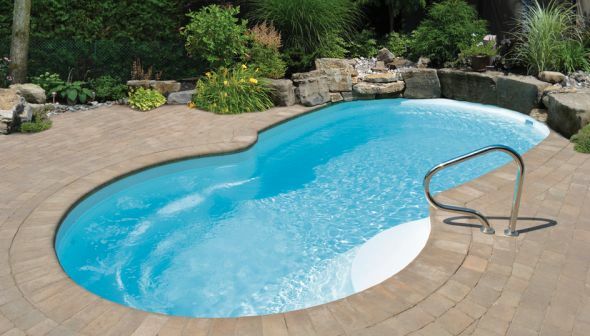 An integrated exit step surrounding the whole pool enhances safety and facilitates exiting the pool. 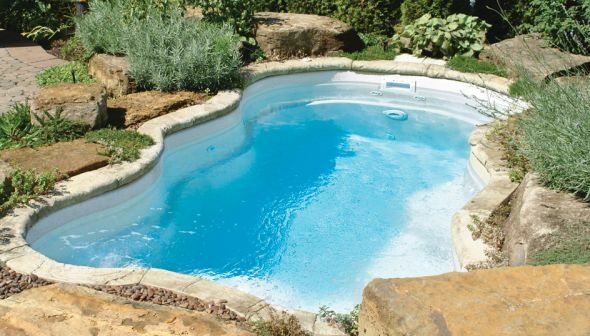 The polyurethane insulation reduces heat loss and helps maintain warmer water temperature. 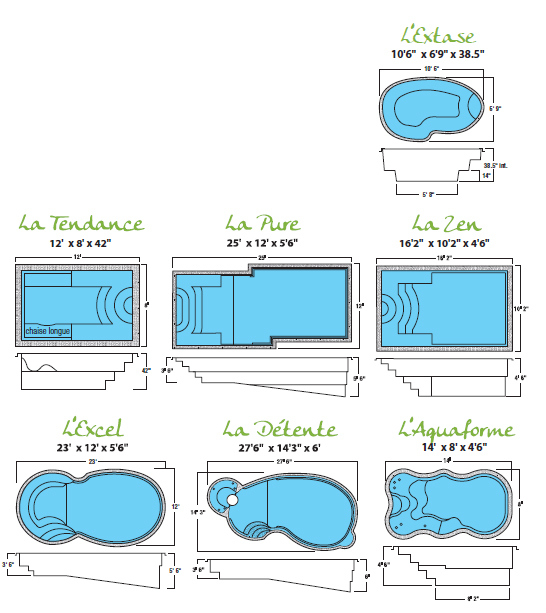 Our expertise has enabled us to develop a model allowing you to take advantage of 2 comfort zones: spa and pool. With the addition of a separating table and a gas heater, you will be able to heat the spa section independently within a couple of minutes. 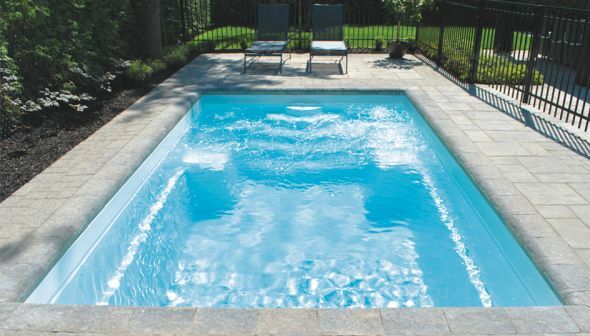 Fibco’s Aquaforme is both a mini-pool and an exercise spa. With the addition of the swimming training system, you can swim-in-place for kilometres. An ideal concept for swimming, walking, aerobics and relaxation.